Are you disabled and unable to work? Have you filed for Social Security Disability and been turned down? The important thing is that you retain an experienced attorney to assist you in your claim. An attorney that can help you understand the Social Security system and can navigate you through the maze of benefits. Ms. Miller is proud to announce she was selected as a Florida Super Lawyer every year since 2011. This is a distinction awarded to only two lawyers in the Jacksonville area. Super Lawyers selects attorneys using a rigorous, multiphase rating process. Peer nominations and evaluations are combined with third party research. Each candidate is evaluated on 12 indicators of peer recognition and professional achievement. Selections are made on an annual, state-by-state basis. I am pleased to be included in Florida Trend's Legal Elite once again. This process is particularly gratifying because it relies on attorneys in the community for nominations and votes, asking lawyers who they would personally recommend to others. Attorneys have a wealth of choice in deciding on attorneys they recommend and to be selected for this list is a true honor. Many thanks to the attorneys in Jacksonville Florida as well as Florida Trend for including me on this list. Legal Advice - What you should and should not do. Tracy Tyson Miller is an attorney who limits her practice to assisting individuals seeking Social Security Disability benefits. The law office is located in the historic district of Riverside in Jacksonville, Florida. The office is easy to find, has ample parking and is handicapped accessible. Tracy Tyson Miller is pleased to announce that in January 2007, she became board certified in Social Security Disability law by the National Board of Trial Advocacy. The certification process was an arduous one, requiring an examination, evaluation of writing samples and personal recommendations by other attorneys and Administrative Law Judges who hear Social Security Disability claims. Ms. Miller is particularly proud of the fact that she was the first attorney in the State of Florida to receive this honor. She was elected to the Board of Directors of the National Organization of Social Security Claimants' Representatives in Fall 2011 and she was selected as a Florida Super Lawyer and a Florida Legal Elite. Tracy Tyson Miller has been helping Americans obtain Social Security benefits for over twenty years. She is a graduate of the University of Florida College of Law. She is a frequent speaker, both locally and nationally, on issues of interest to Social Security attorneys. 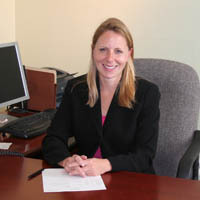 Her articles have appeared in Jacksonville Lawyer magazine and the Jacksonville Bar Bulletin. She served as the Chairperson of the Jacksonville Bar Social Security Disability Committee from 2002 through 2005. She also serves on the Program Services Committee of the National Multiple Sclerosis Society. Her goal is to assist her clients in obtaining Social Security benefits as quickly as possible. She assists people with a variety of medical impairments. If you are in need of legal assistance with a Social Security Disability claim, call the Law Office of Tracy Tyson Miller at (904) 981 – 9812 or complete our on-line questionnaire. Initial consultations are free of charge if Ms. Miller agrees to handle your claim, fees are typically contingent in nature, which means fees are due only if you recover benefits. Law Offices of Tracy Tyson Miller Find Us on Facebook!